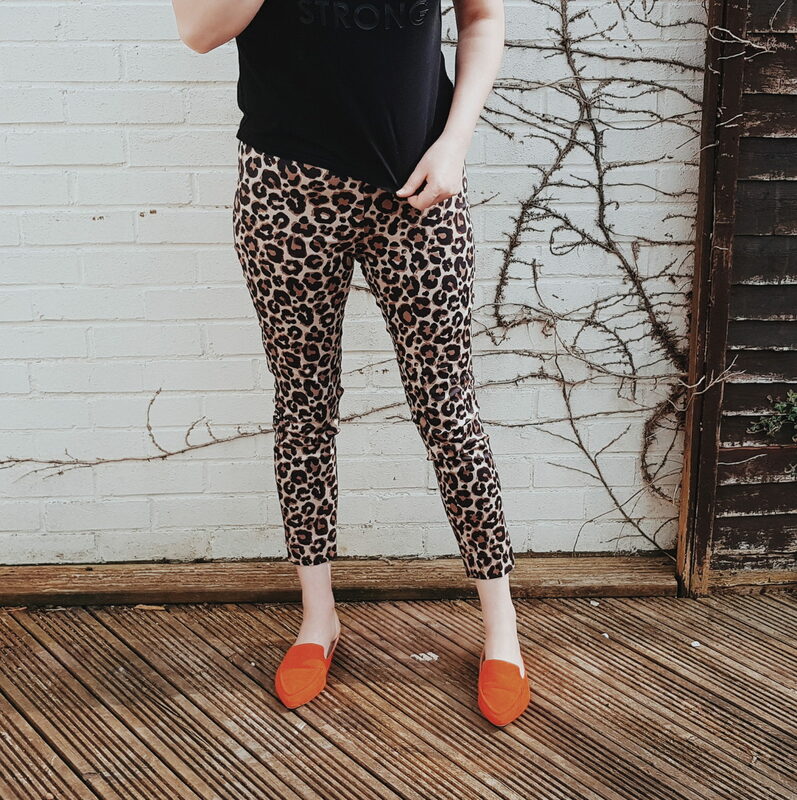 Following on from my Spring Styling post I did recently with Simply Be, today I wanted to share with you some more leopard print numbers that I adore – because you can’t get enough leopard print right? 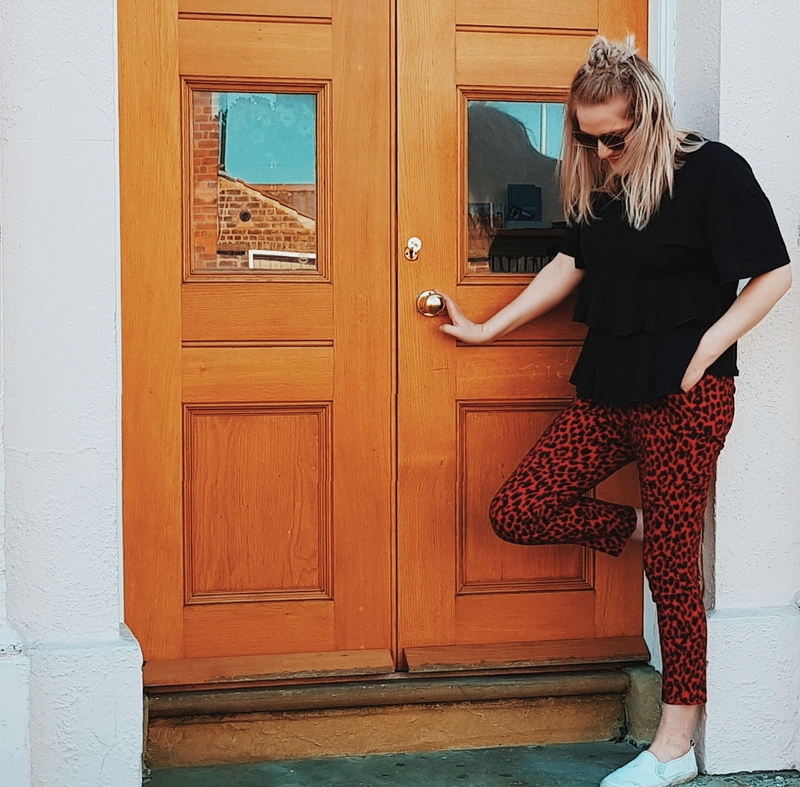 I am delighted to have recently purchased several of pairs of really lush and comfy leopard print trousers, that are not only going to look fab for Spring/Summer and many months to come, but are also a real bargain, comfy and stylish for mum life! 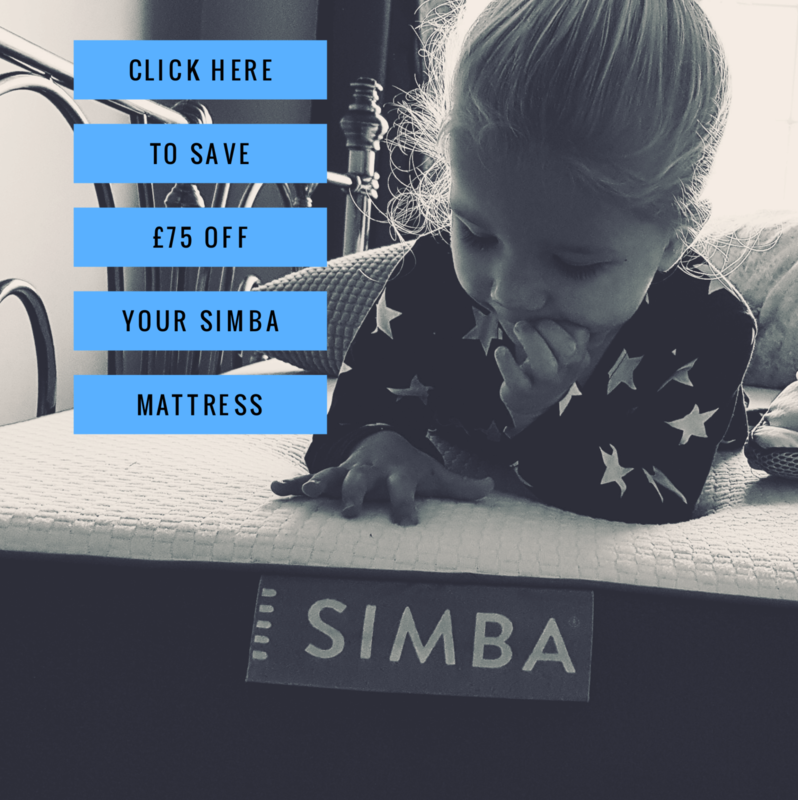 I love, like I am sure you do too, looking good without spending a fortune – and these tick all the boxes for that! To me Happiness can most certainly be found in a pair of leopard print trousers (though mr smith might disagree!) and I am fortunate enough to now have 3 hot pairs in my wardrobe, that all make me super happy (obvs)! Whilst each one is very different, I find them each really versatile and ideal for spring/summer. I love that they are all a great statement piece for everyday coolness. My first pair were bought a while ago in the new look sale for a bargainous £5 and I have had a lot of wear out of them through the Autumn. I found them particularly comfortable for sightseeing and traveling when we were in Tuscany. 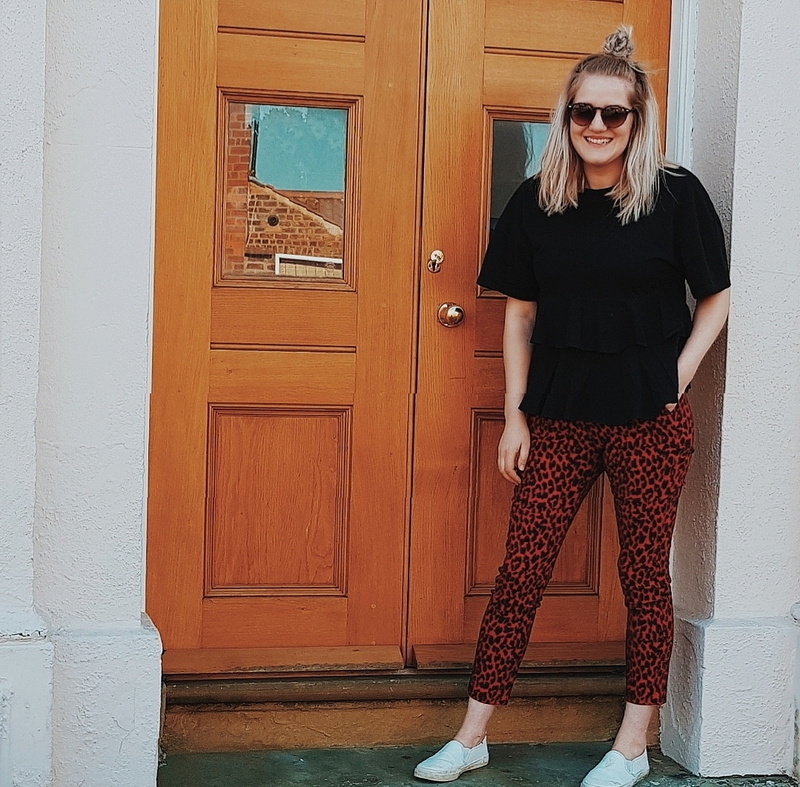 They are these green leopard print culottes and super comfy and lite. I am most excited though for when I can wear them with sandals and t-shirts, but for now I am enjoying pairing them with pumps and my green primark jumper (£3 in the sale last month) or trainers and a slogan t shirt/cardi! 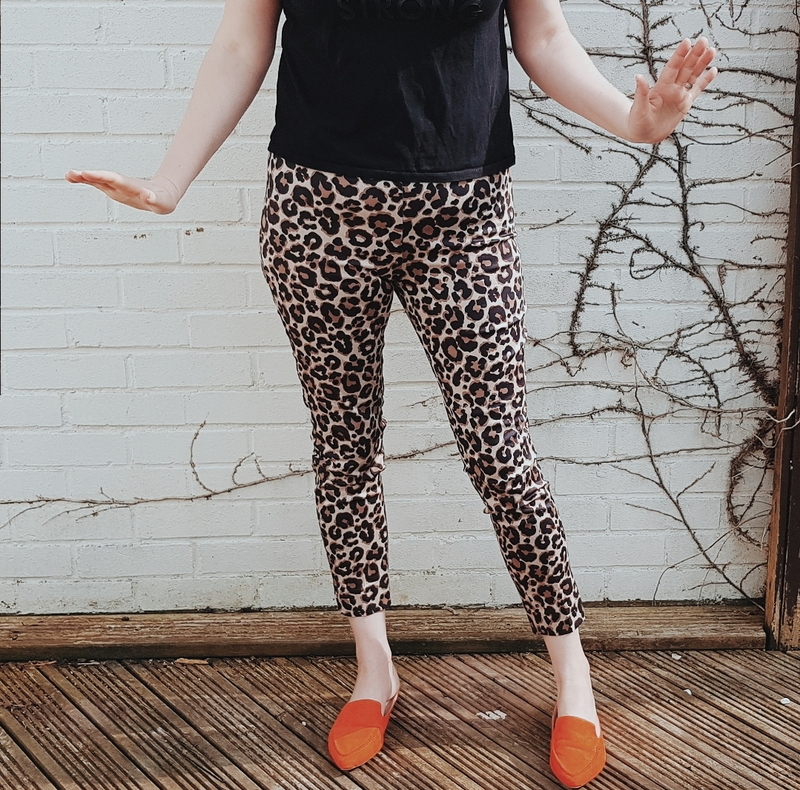 More recently, and up there on my “Favourite things to wear” list, I have purchased 2 lush pairs of slim fit tailored leopard print trousers. I love these for many reasons, but the most obvious is that I feel they are both really flattering, comfortable and generally look mint for a 34 year old Mama that wants to be practical and stylish at the same time! 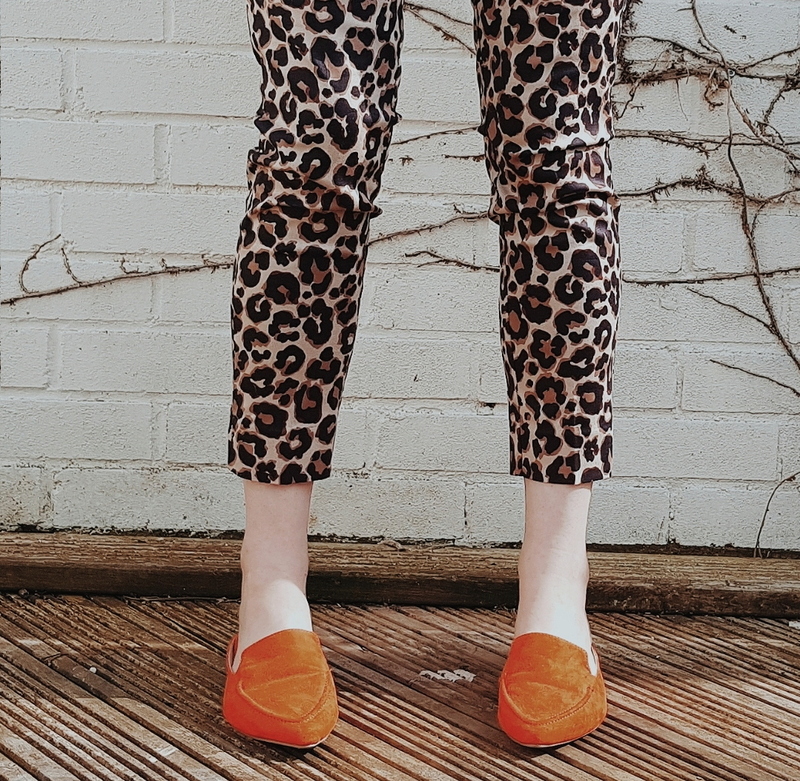 The first ones I love are these ankle-length leopard print trousers that I bought about 2 weeks ago and are currently in H&M for £12.99 – they are both a bargain and an essential for spring and summer! Then there are these killer Red ones that I love so so much! Again, I think they were somewhere around the £7 to £10 mark in the Zara sale a couple of months ago (you might still be able to get them or at least get them on ebay?). But as soon as I saw them I was adding them into my basket and they are just the dream! I really love that both of these can be worn smart or just chucked on with a shirt and pumps (or sandals) for mum life! It makes them a wardrobe staple as they can be matched up with so many things for so many occasions and looks. I think the red zara ones look fab with my red ankle boots or black heels and a dressy casual top or jumper for a funky smart casual look, and yet can be so much fun to wear in the summer too with a logo or plain tshirt and my pumps or sandals! The H&M ones look so good with my orange mules (as pictured) as well as gold heels, white pumps and sandals. Top wise; anything from a tshirt to a colourful or neutral blouse and/or jumper, and even a denim shirt. 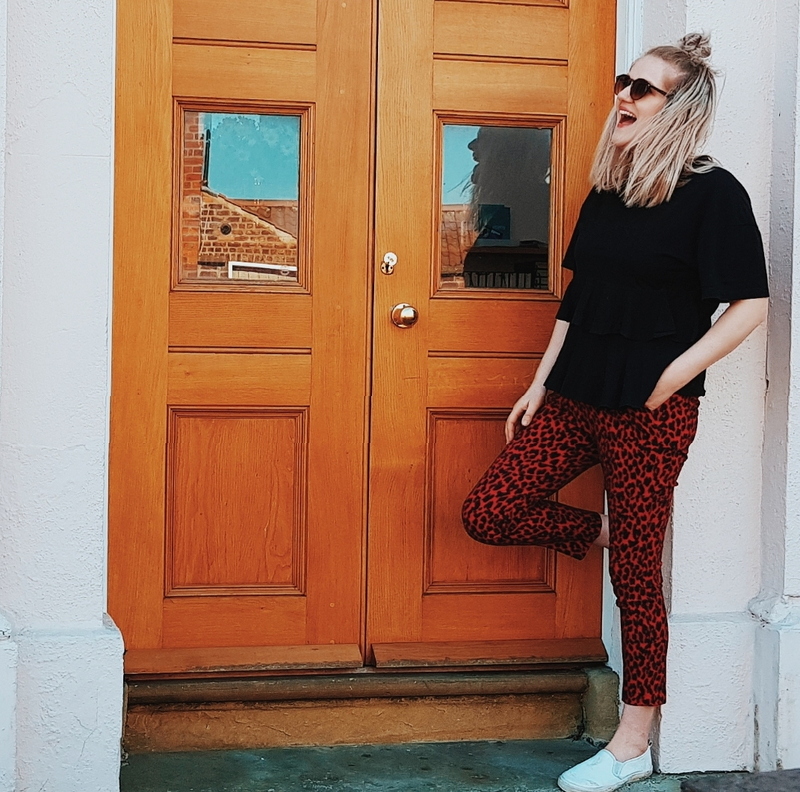 I am not at all a florally person, and will probably never be found in floaty spring style dresses and cute blouses, but pass me the animal print and some bold prints and colour, and I will be rocking it wherever I go and whatever the weather! 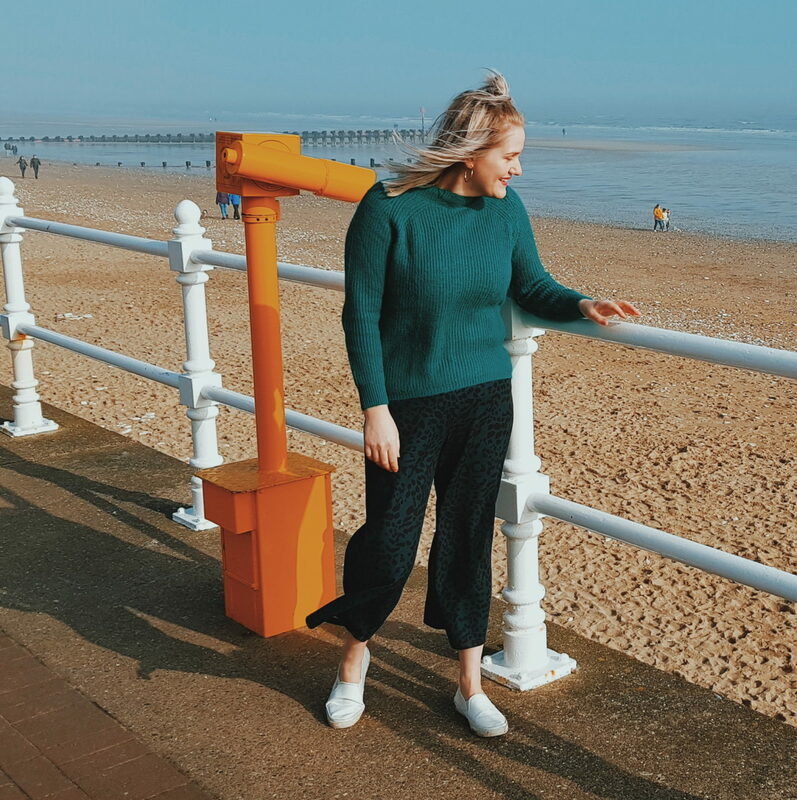 I love these statement trousers so much for an easy and cool look wherever I am going – they are flattering and easy on the bank balance, and make me very happy to look at and wear! I hope you find some joy in getting yourself a pair too – I know you will look hot in them and feel mint!